Home / Are You Monitoring These Important Things in Your Data Center? 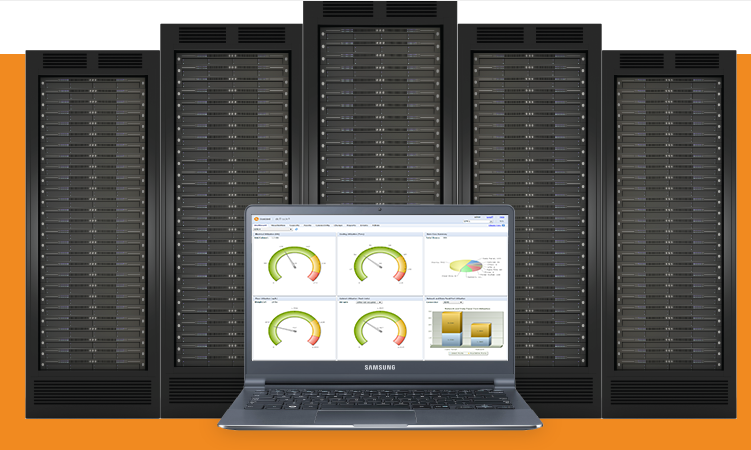 Are You Monitoring These Important Things in Your Data Center? According to a 2014 article on Department of Energy enumerating facts about data centers, there are approximately 3 million data centers in the United States alone, which essentially means that for every 100 people in the country there is one data center! With the number of people using the internet increasing exponentially across the world, the need for such facilities are only slated to rise. Proper monitoring is essential to get the best out of data inventories. Data center monitoring software helps you get comprehensive reports, records, data and alerts pertaining to the infrastructure supporting the data center facility. Here are all the crucial items you must keep an eye on. Temperature fluctuations: It is crucial that you maintain the correct temperature in your data center white space where servers, network and storage equipment reside, while also checking humidity and air flow. In addition, you need to keep an eye on whether the equipment is getting too hot and creating localized hotspots or if there is over cooling. Overcooling can be as harmful as overheating, as you will notice from your Computer Room Air Conditioning (CRAC) and other cooling device bills. Power Load: If several servers are plugged into a single rack, surpassing the set limit, there will be overloading and increased risk of servers crashing. So, it is very important that the servers are connected in the safest possible way, minimizing risk of overloaded circuits and failed failover in the event one circuit fails and the other is unable to support the entire load of the rack. Moreover, there is also a need to constantly monitor UPS’s and generators to check for any signs of capacity overload. Physical Space: This includes keeping tabs on the density on a single rack. This is to ensure that there is no waste in the form of stranded power or stranded real estate. At the same time, it is important to make sure that one monitors equipment weight as new equipment is deployed to ensure that racks stay within the maximum floor load value. Data center monitoring software can help in this process as well. Security: All the data that is stored in your facility needs the utmost levels of security. This means you need to make sure that you have records of the people present at the facility at all times. Only authorized people should be able to gain access to data and servers in equipment racks. Security systems like electronic door locks, key cards, key fobs, and biometrics should be put in place and constantly monitored. Life-cycle: All IT equipment has a limited life and it is crucial to know when is the right time for you to upgrade your devices so as to avoid unnecessary performance lags or sudden shutdowns. This requires regular inspections and performance reports. Back-up ready: Another important need of a data facility is the proper functioning of the UPS devices. In case of a power outage, the UPS must be on full battery to handle larger servers. Moreover, even before any outage occur, it is important that you make sure to allocate adequate power back up devices to meet the capacity of your facility. Monitoring various aspects of the data center is crucial for a resilient data center that maximizes uptime and the availability of critical services. Fortunately, there are numerous category specific solutions available. So, check out what will suit your needs the best. To learn more about DCIM and how it improves data center availability, check out the e-Books, white papers, and case studies on our resources page.